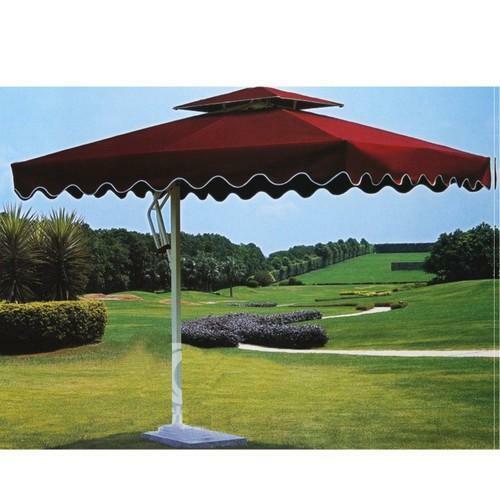 Quality, feature-packed side post/cantilever umbrella offering unobstructed cover while under its canopy. Features include wind-up opening/closing; unique, 4-way canopy tilting system, including piston grip variable vertical tilting with push button lock and hand cranking horizontal variable tilting; easy rotation of umbrella with hand crank control. Quality heavy-duty polyester fabric canopy cover. Protective umbrella cover included.